Get started with social media to connect with others online. What do I need to follow this guide? Social media is an online platform that helps people to communicate and network with each other online. Popular social media platforms include Twitter, Facebook, YouTube, LinkedIn, Instagram and Pinterest. You can use social media on a variety of devices, including computers, mobile phones and tablets. Ask your friends, family or colleagues what social media platforms they use before you sign up to your first one. Which Social Media Platform should I use? With so many different social media platforms to choose from, how do you choose which one to use? Ask yourself: What do you want to achieve? Sign up to Flickr, Instagram and Pinterest if you like taking or sharing photos. Join YouTube, Vine and Vimeo if you like watching videos or making them. Check out Facebook if you want to connect with family and friends. Start a Twitter account if you want to reach a wider range of people from politicians to pop stars. Use LinkedIn if you want to connect with people you have worked with. Create a blog, a website that is a bit like a diary, if you enjoy writing and sharing your view of the world, using Blogger, WordPress or Tumblr. Have a go with WhatsApp or Viber if you just want to chat with your friends online for free. Some social media platforms are more time consuming than others. Twitter can be quick and easy to use as you only need to write short updates of up to 140 characters. A blog can take up much more time as they often contain longer updates. What are the people you know using? Social media is all about connecting with others. Ask your friends, family or colleagues what social media platforms they use before you sign up. To get started on a social media platform, you will need to create an account. 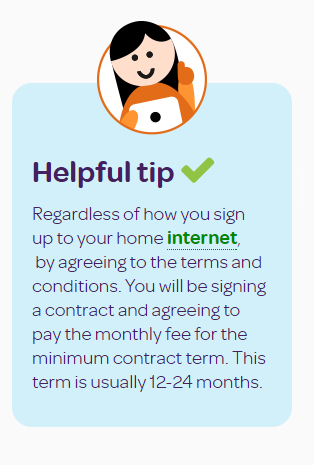 You will be asked to provide an email address, as well as other information such as contact details. On many social media platforms, you will create a Profile page. Profiles often contain some basic information about you, including a Username and a Profile photo. When using social media, decide what you feel comfortable sharing with others and who you share it with. Always read the terms and conditions of social media platforms, and get to know the privacy settings. With so many social media platform out there it can be overwhelming knowing where to start. Do your research by asking friends and family what they use. Have a look around to see what the different social media platforms do but also prepare to experiment and jump in! 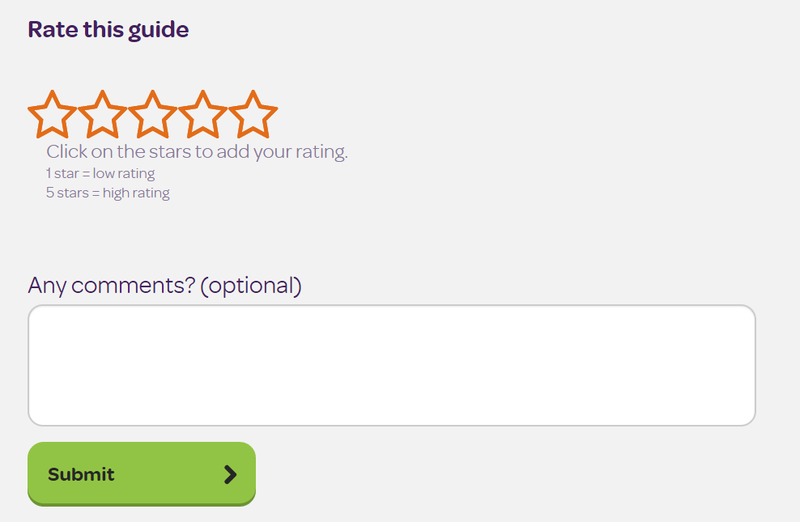 Click on the stars to add your rating. This guide has been added to your Favourites. You can find all of your favourite guides on the main Learner page. 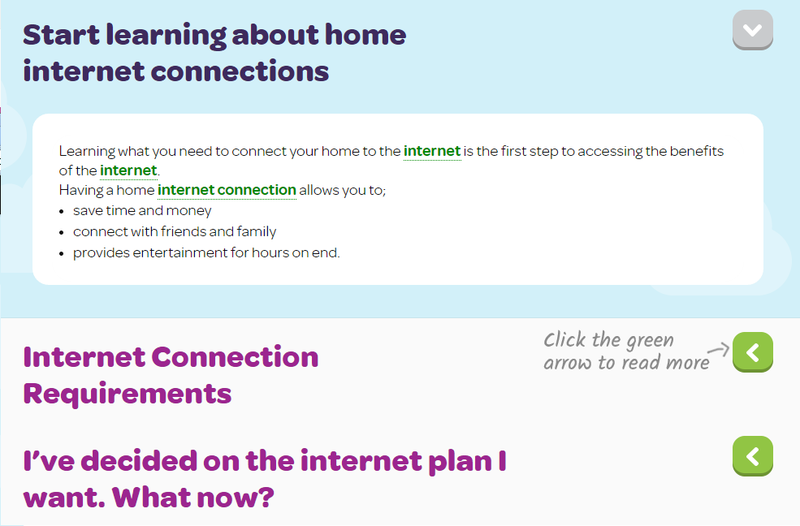 Just click the Learn link in the menu at the top of any page. This guide has been removed from your Favourites. You can put it back by clicking the Mark Favourite button again. You can find all of your favourite guides on the main Learner page. You must be registered and logged in to save a Favourite. Then you can find all of your favourite guides on the main Learner page. To get started click the Register or Login link in the menu at the top of any page. 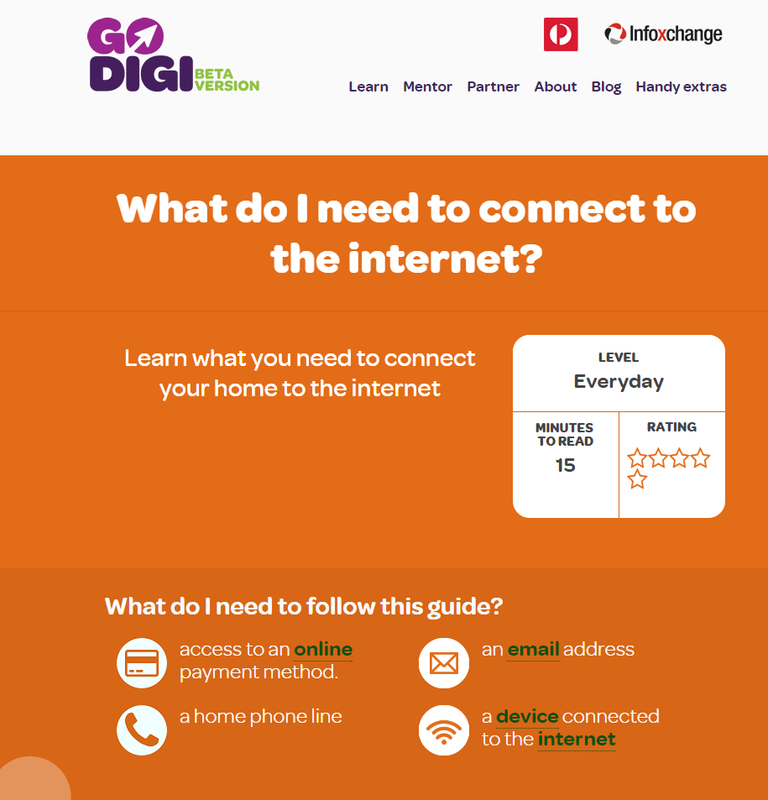 Go Digi learning guides have been designed to be easy to read. The first part of the learning guide is the title, the level of difficulty, the minutes it takes to read and the average rating given by other Go Digi users. Every guide also features what you will need to follow the guide. Just like a recipe! Most guides just require a device connected to the internet or an email address. However, some guides need more like the example below. The next part of the guide is the introduction and main body of the learning guide. If there are many sections in the body of the guide there will be arrows you can click on to collapse and contract content within the guide. 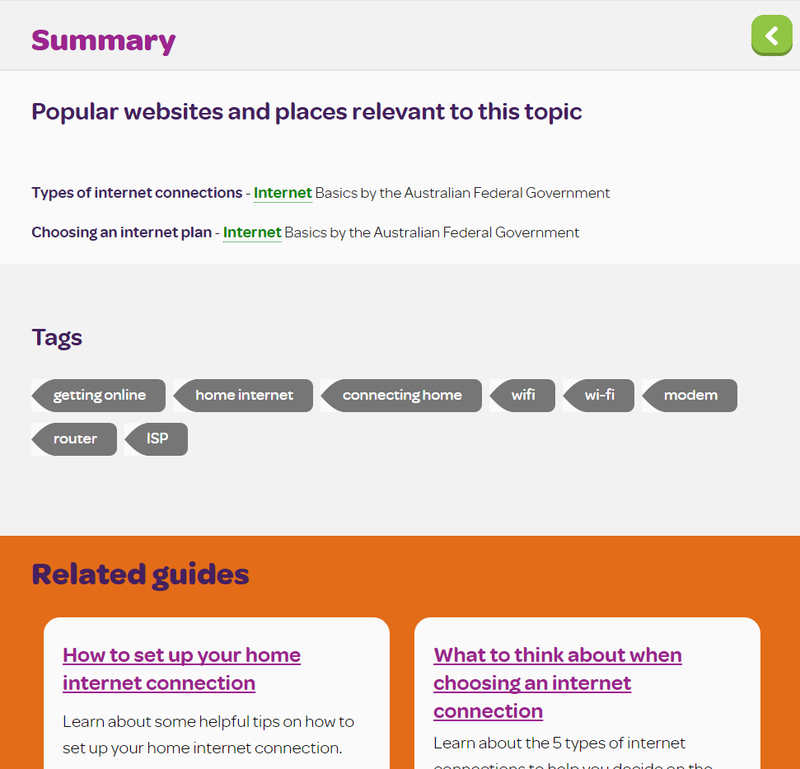 The bottom section of guide features a summary, popular websites relevant to the topic, the topics which the guide has been tagged with (tagging is another way to categorise content), and if there are any related guides they will be at the bottom of the guide. Every guide also has an opportunity for users of the Go Digi online platform to give us feedback and rate the guide on its usefulness. All feedback is anonymous and helps us to improve the Go Digi online platform.